Though this position is not limited to just engineers, it is highly preferred. Do you come from an engineering background and look to make a major impact in the field? Are you able to explain very complex technical details to your friends who aren’t engineers and get them to understand? Do you think you would enjoy talking with other engineers from around the world about technical products from top manufacturers? Is growing your knowledge base and expertise important to you? Are you able to perform advanced excel features such as vlookup and pivot table? If so then Lead Data Technology Engineer is a great fit for you. High quality product data and related content are what makes an online shop successful. In KYKLO, we’ve integrated it into our customer’s shop, ready to use! Thanks to our B2B features, we enable our customers to drive efficiency by automating different business processes such as order management, product information management, discount prices matrix or customer relationship management. We have been named as a top 10 start-up in S.E. Asia. But we are HUNGRY to be even better. Now we need [ your name here ] to join our KYKLO family! At KYKLO we believe that the best thing that we can provide our customers is the largest database of world class content on electromechanical products. Your role will be to help build that database while working alongside your team and other engineers from around the world. The position requires a high degree of technical aptitude in either electrical, mechanical, or industrial engineering along with an ability to understand the mindset of what end-users (potential online shoppers) might want to know about products. - Outstanding communication skills both written and verbal English. - Preferably a former product manager from the top Electrical / Automation companies: Schneider, ABB, Siemens, Rockwell, Allen Bradley, etc. - Strong engineering experience in at least R&D or large scale installation projects (oil & gas, water, chemicals). - An ability to work in a multi-national setting with other professionals from across the world. - Able to communicate in English at a business level plus fluency in at least one other language. ​Do you want to work for a company that will make your friends jealous? Do you want to do great work, with great people? Do you want to help build something amazing? Do you come from a background where you helped organize, monitor, and schedule deliveries? Are you good on a computer? Do you want to wake up every day and actually WANT to go to work? If so then the position of Data Delivery Planner is perfect for you. 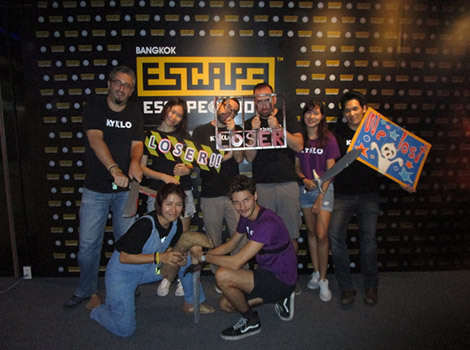 We have been named as a top 10 start-up in S.E. Asia. But we are HUNGRY to be even better. Now we need you to join our KYKLO family! 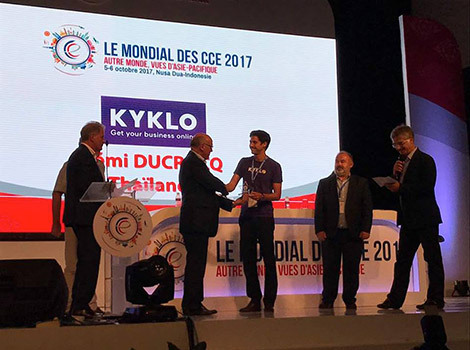 At KYKLO we believe that the best thing that we can provide our customers is the largest database of world class content on electromechanical products. Your role will be to help our Data Technology Engineers and Tech Team by planning, organizing, monitoring the production and delivery of our world-class data. - Multi-tasking, and being able to handle multiple projects going on simultaneously for customers across multiple countries and continents. - An ability to plan capacity and balance workflow based on R.O.I while still being able to meet deadlines. High quality product data and related content are what makes an online shop successful. 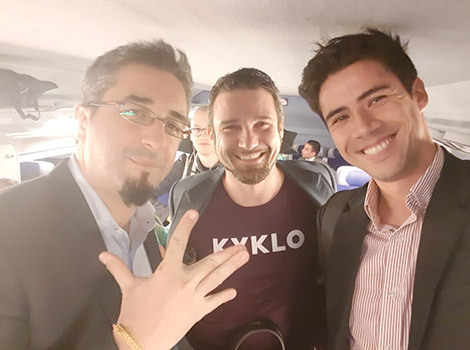 KYKLO is growing fast, and so is the number of our customers. Your role as a Data Category Manager will be to carry on building the awesome database that will make our KYKLO app much coveted! We have a great product that we have developed and continue to work very hard at making even better every single day. We have been named as a top 10 start-up in S.E. Asia. But we are HUNGRY to be even better. 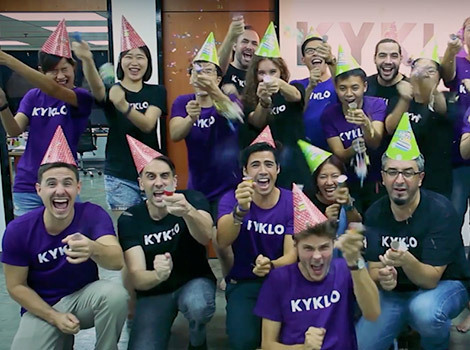 Now we need [ your name here ] to join our KYKLO family! The position requires a high degree of technical aptitude in either electrical, mechanical, industrial engineering, automation engineer, or chemical engineering along with an ability to understand the mindset of what end-users (potential online shoppers) might want to know about products. Develop KYKLO product and documentation database (product / document list + classification + taxonomy) to match the specific needs of KYKLO app aiming to maximize the Search Engine Optimization and easiness to find products SKUs from their attributes. Expected outcome: Within six months’ time be able to use advanced excel features and formulas in an efficient manner to deliver assigned data projects on time and with high quality data content. Obtain information from available sources on the web (pdf, websites) and convert it into well-structured, complete and accurate data into KYKLO database. - Expected Outcome: Within three months be able to source the most relevant information (data and images) and extract said information by scrapping. - Expected Outcome: Within twelve months provide data accuracy by staying up to date on manufacturer’s new product launches. Expected Outcome: After 1 year of experience be able to perform quality checks on data for errors, missing information, and quality.